An antique line engraving by H. Winkles after H. Bibby. From England's Battles by Sea and Land by Lieut Col Williams. Published by The London Printing and Publishing Company. Circa 1860. Inspection of Troops at Gibraltar, on Her Majesty's Birthday. An antique woodcut engraving which was published in "The Illustrated London News" on June 24th, 1854. 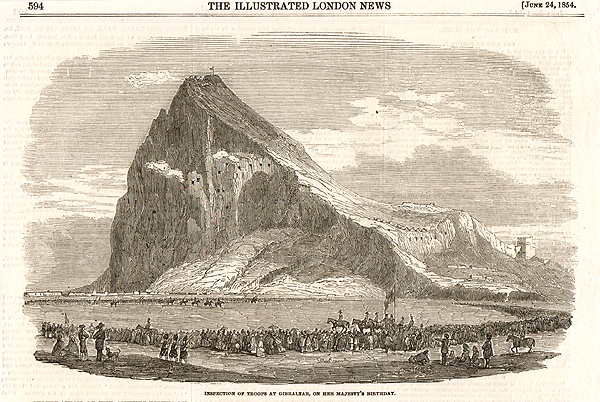 Opening of the Algesiras Railway, near Gibraltar. Four antique woodcut engravings which were published in "The Illustrated London News" on October 11th, 1890. Views include the ancient Roman Aqueduct and the Iron Bridge over the River Guadarranque. The Rock of Gibraltar - Point D'Europ sketched from the Signal House, with Ceuta and Tangier in the distance. An antique woodcut engraving which was published in "The Illustrated London News" on November 12th, 1859. 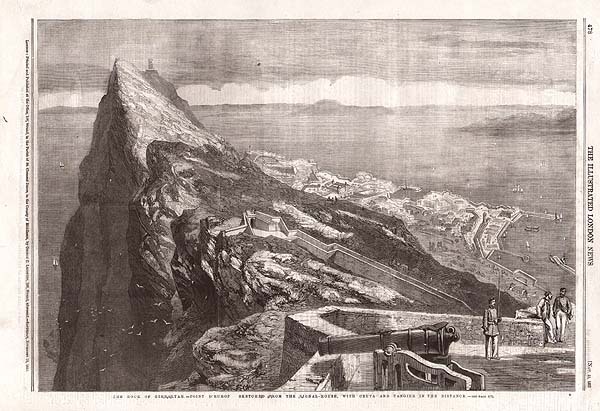 An early antique line engraving by F. Cary entitled "View of Gibraltar" which has a key to ten locations in the view printed beneath the image. Locations include City of Gibraltar, Old Mole, New Mole, Europa Point etc. Circa 1789. There are a number of vertical folds present in the printed area. A line engraving. Circa 1850. The colouring is later. Presentation of Colours by Lady Airey, at Gibraltar to the 83rd (County of Dublin) Regiment. 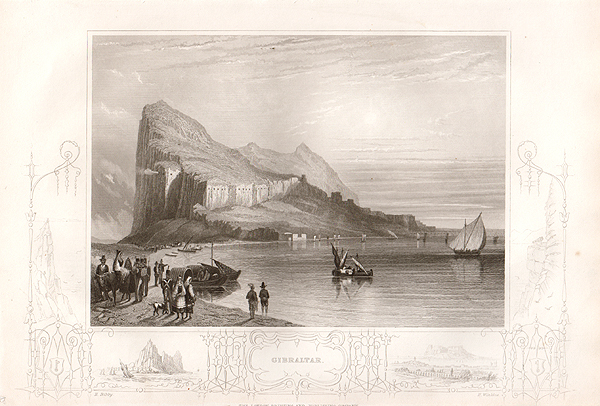 A woodcut engraving entitled "View of the Town of Gibraltar showing the Landing Place." 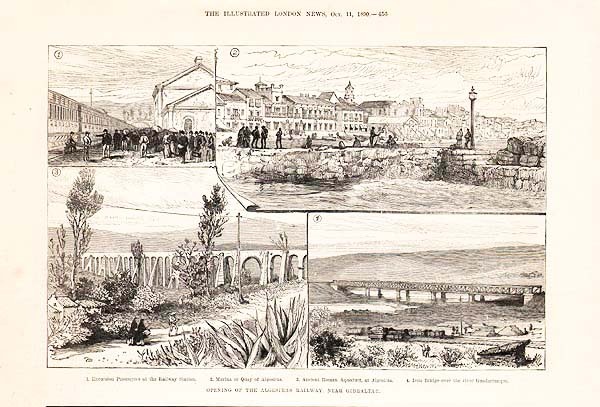 published in "The Illustrated London News" on November 26th, 1859.